The web is a collection of millions of different pages of information. These web pages are written is a special code called HTML (Hypertext Mark-up Language). This code has a collection of special phrases and characters that tell your web browser how the web page is supposed to look. We have seen how HTML looks when we learn about Website Development by using Dreamweaver. In Order to get to the web we need a connection from our home or business to the rest of the outline world. This is usually happens though the Phone, or Cable lines or even Satellite. This connection means information from around the world can reach our computers. A broadband connection is one that can carry more data than the traditional dialup method. Types of Hardware that support the Internet includes routers, servers, cell phone towers, satellites, radios, smart phones and other devices. Purpose of the modem card: Allows the PC to be connected to the Internet via the telephone system. Modems usually transfer data at a speed of 56 kilobits per second. 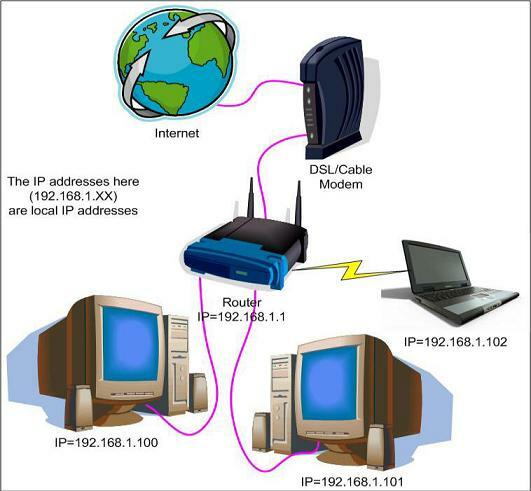 (Note: Broadband connects to the computer via a router. A router is a piece of network technology. The router plugs into the telephone socket and connects to the PC either wirelessly or via a cable. If we could see the connection the information comes in though it would look like a code. It doesn’t make sense does it? Well! It makes sense if I explained about the translator, something that turns the code to words and image we see on a website, for this we use Web browser, it translate the information it makes it useful to us. Browsers: is a piece of software which is used to view webpages on the web. The most commonly used browsers at present are Internet Explorer and Mozilla Firefox. When the user visits a webpage, the HTML code is downloaded to their computer and the browser interprets the code to create the webpage itself. A browser also supports hyperlinks, so that when a user clicks on a link the browser will find the correct page and download it. But that code must have come from somewhere? And that will be another computer but not regular computer, the one it’s build to make webpage is available, it’s called Server. The words and images that appears on our screen live in the server. There are millions of servers and webpages. We need away to find this specific page on a specific server we do this in web addresses. Each Server and website has a unique one. As long as we have the right web address we can visit a webpage on any server on web. The reason why it’s called a web is all the servers are connected. We can easily jump one to the other using addresses via web browsers we don’t have to remember all the addresses. Web pages uses shortcuts or links words and images can click direct as to page after pages together.